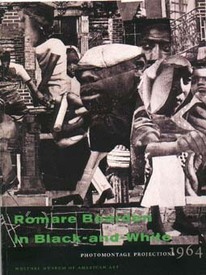 Romare Bearden in Black-and-White is the catalogue of a show mounted by the Whitney Museum of American Art in 1997. The show traveled for two years and made it as close to Pittsburgh as the Trout Gallery at Dickinson College in Carlisle, PA. The book contains an essay by each of the authors along with the transcript of a conversation between Ms. Gelburd and Albert Murray. Each of the essays combines a social-historical context for understanding the milieu out which the work emerged with an art-historical appreciation of the nature and degree of Bearden’s achievement, with Ms. Gelburd’s concentrating on the former while Ms. Golden’s is weighted toward the latter. The often fascinating conversation with Mr. Murray focuses on his theories relating to the centrality of ritual to art, and his inferences of Bearden’s own thoughts on ritual arising both from his friendship with Bearden and from the works themselves. It was, in fact, Murray who provided the phrase, "The Prevalence of Ritual," that has become closely associated with Bearden's work. Anyone who has studied the life and work of Romare Bearden can’t help but be awe struck by the tremendous conceptual advances he made in the early sixties, specifically in the single year 1964. Bearden had by that time gone through many phases during his already lengthy career. During the late fifties he had been studying Japanese techniques under a master residing in NYC. But then something happened. All his years of meticulous studies of artists from the old masters through, and especially concentrating on, the cubists, combined with his lifetime of working daily with the quotidian reality of everyday people -- Bearden had a lengthy career in the social services -- had, evidently, led to an astoundingly powerful ferment. This may have been finally catalyzed by the incredibly intense emotions of the civil rights struggle during that critical period, enabling Bearden to somehow transmute it all into powerful and visionary works of art. 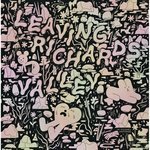 These works evince an uncanny sense of scaling whereby the visual volume and weight of depicted objects correspond to their respective emotional values. In addition, Bearden simultaneously employed this scaling to create formal compositions that emanate a sense of balanced harmony within chaotic multiplicity that too serve to mirror the internal life of the people his pictures represent, and by extension that of the character of America itself. 1964 was for Bearden the critical year that initiated his creation of a stunningly original body of works that managed to express aspects of the African American experience that had never been so eloquently and beautifully articulated before, nor have been since. This book does an excellent job of presenting the amazing works of that year while examining the sources of their power. To view some of these images on-line, check out this site.